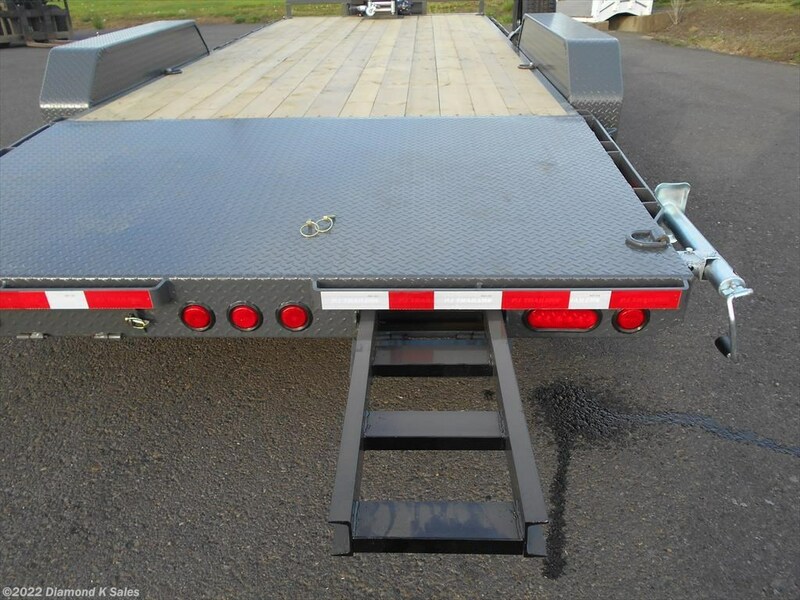 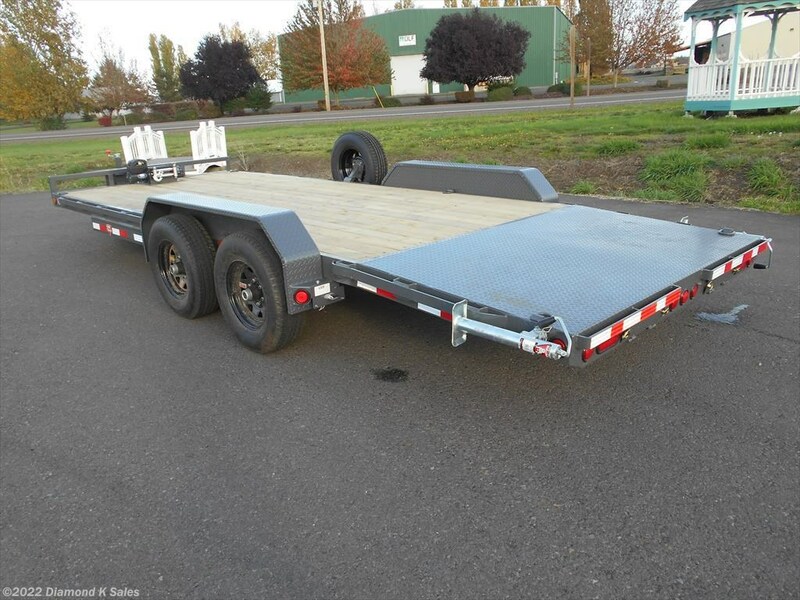 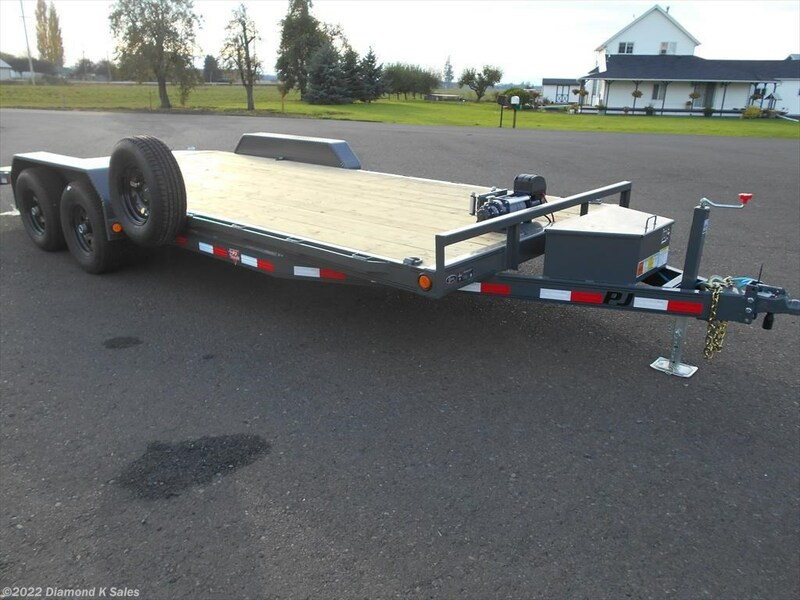 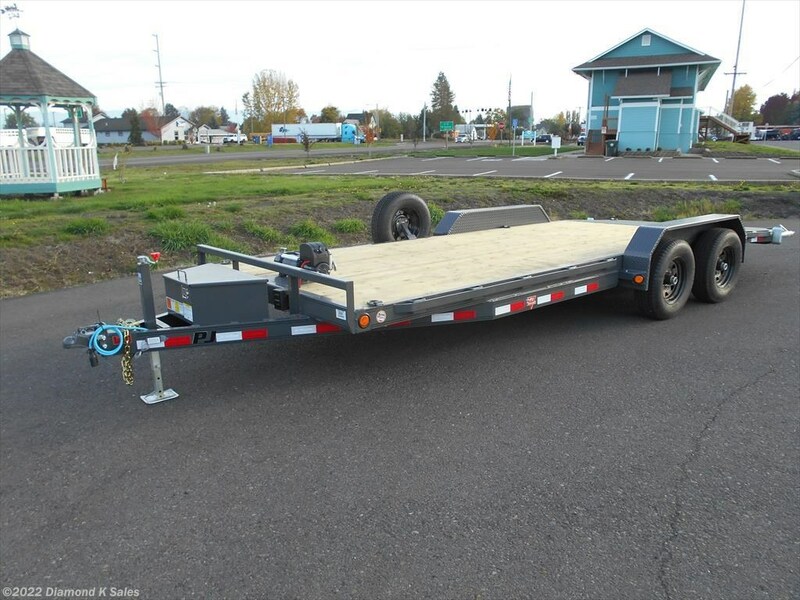 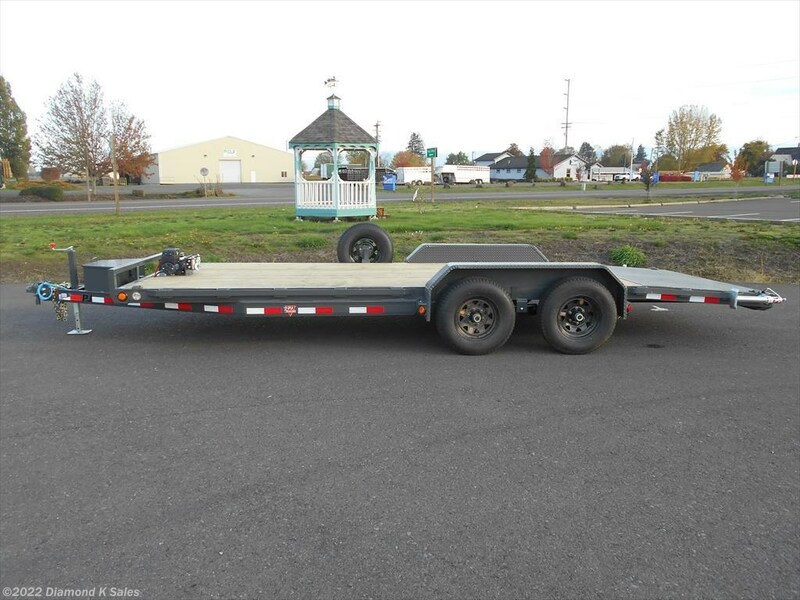 2 5200 lb brake axles - 225/75/R 15 radial tires on Black spoke wheels - 4' steel dove with 5' rear slide in ramps - 6 D-rings - 2 5/16" bulldog adjustable coupler - 5" channel frame and wrap tongue - 3" channel cross members on 24" centers - 2 x 6 treated Canadian S-P-F deck - removable diamond plate steel fenders - LED Lights - 8000 lb. 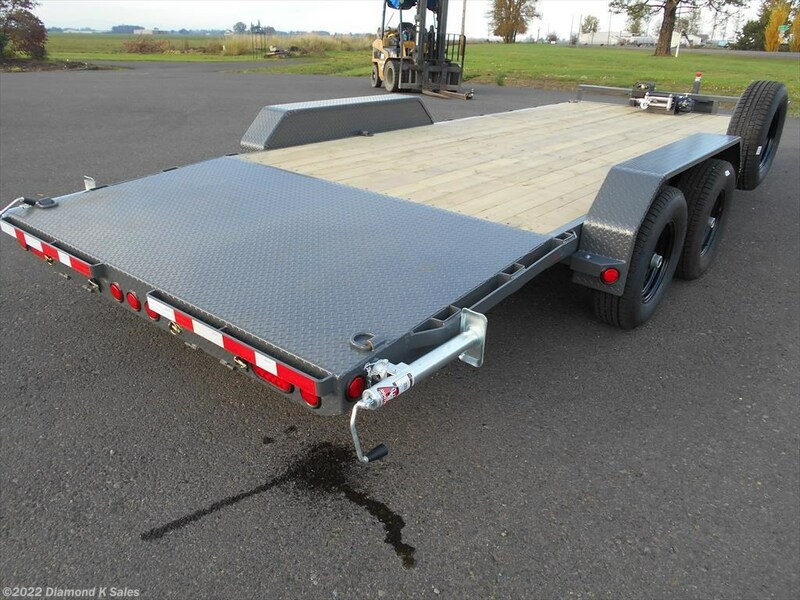 drop leg jack - rear support stands. 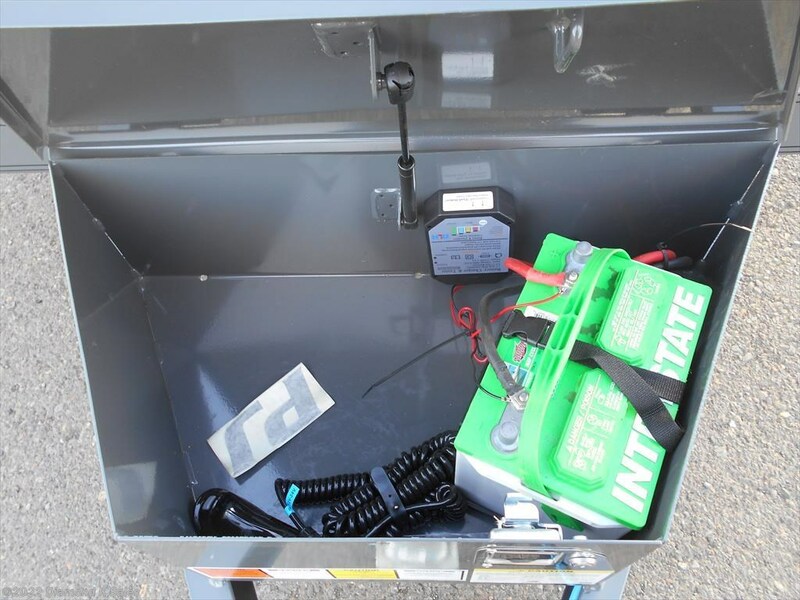 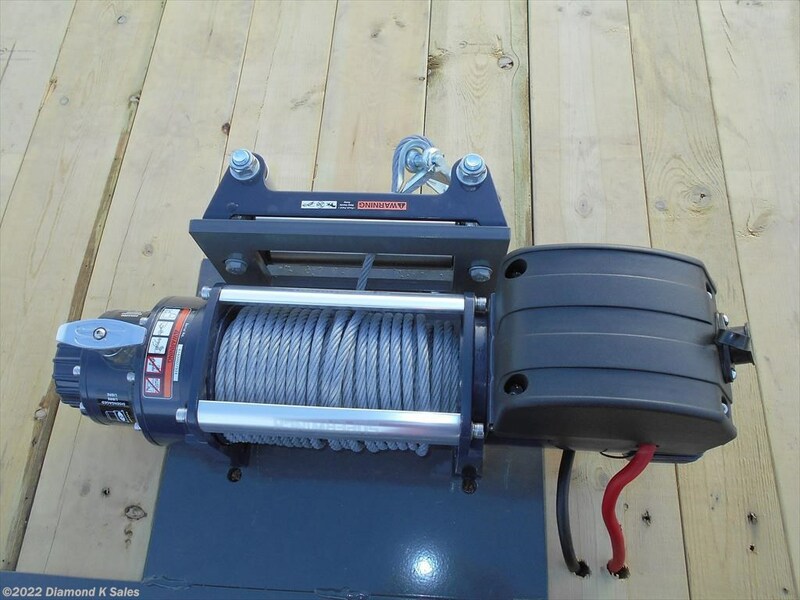 TS9500 Super Winch with plate, battery & tongue box.